Katie Jacobs is an American television producer and director. Together with her husband, Paul Attanasio, the couple run Heel and Toe Films production company, which produces the Fox series House and the now defunct series Century City. 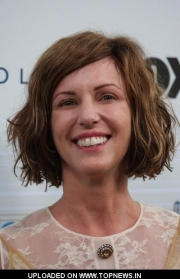 Jacobs made her directorial debut on House, directing two episodes of the third season. Whole or part of the information contained in this card come from the Wikipedia article "Katie Jacobs", licensed under CC-BY-SA full list of contributors here.